Professional service. Friendly service. Comfortable beds. Clean rooms. 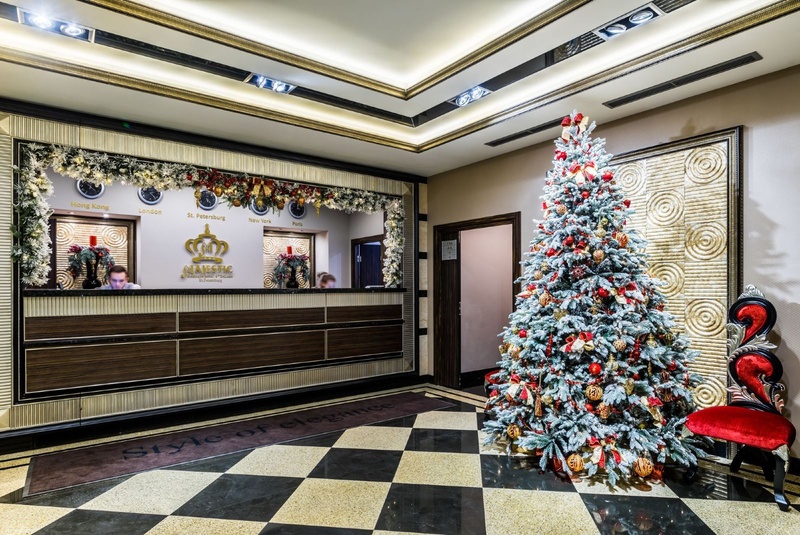 The hotel is placed in the heart of Saint Petersburg, invites guests to spend their vacation or to have a rest during business trip in the beautiful and comfortable rooms. 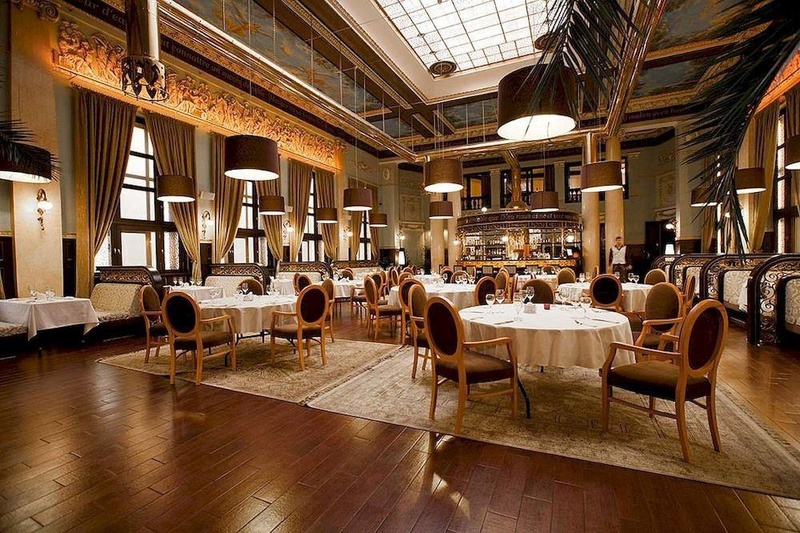 The hotel is officially opened in 2015, in a building constructed in 1847 by architect Adrian Robin. 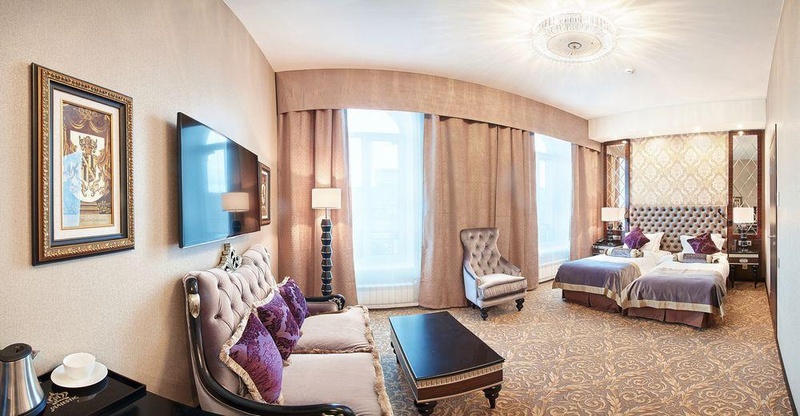 The unique location of hotel on Sadovaya street in the immediate vicinity of the Nevsky Prospect, in the heart of the historical, cultural and business center of St. Petersburg makes it easy to plan your day, work productively and have a good rest in the weekend. 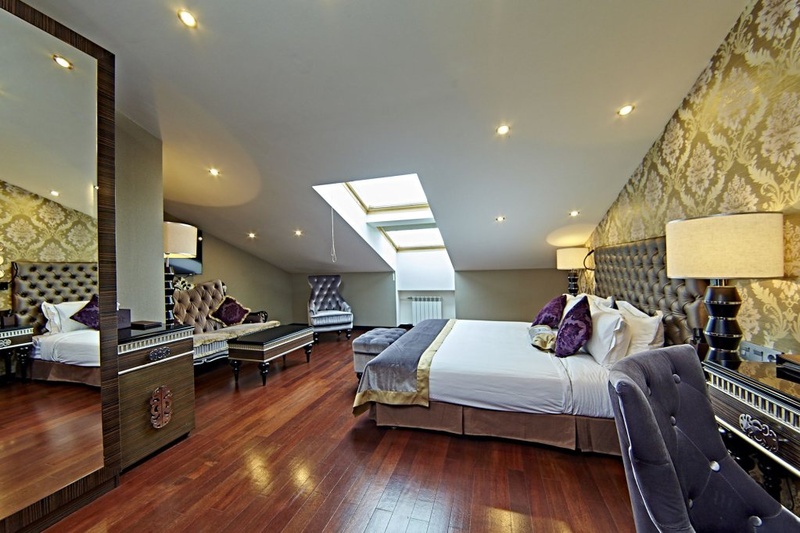 The hotel offers modern and comfortable rooms to the guests of the hotel. All room types have minibars, satellite / interactive TV , spacious bathrooms, rain shower and bathtub. ***Dear Guest, please refer to the below mentioned requirements regarding the documentation needed. Rules and registration- Please be informed that valid ID (Passport) and migration documents e. G. (Traveller's Visa, Migration card) are obligatory for every foreign guest to be checked in and registered successfully. - Every Ferry transit traveller should obtain tour programm including Majestic Boutique Hotel Deluxe as a feature of the tour along with valid ID and migration card- Valid ID or adoption documents for every child are obligatory according to child policy. Бутик-отель Majestic Deluxe расположен в Санкт-Петербурге, в 800 метрах от храма Спаса-на-Крови. К услугам гостей бесплатный Wi-Fi и фитнес-центр. Обратите, пожалуйста, внимание, что ДЛЯ ЗАСЕЛЕНИЯ И РЕГИСТРАЦИИ В ОТЕЛЕ граждан РФ (в соответствии с Законом РФ № 713 от 17 июля 1995 года)НЕОБХОДИМЫ СЛЕДУЮЩИЕ ДОКУМЕНТЫ:- Для граждан РФ, постоянно проживающих на территории РФ:Действующий Паспорт РФ (внутренний!, НЕ заграничный)- Для граждан РФ, постоянно проживающих на территории другого государства:Действующий внутренний Паспорт РФ или Заграничный паспорт РФ с документом, подтверждающим факт постоянного проживания на территории другого государства. Quiet side street. Location is fantastic. Great location to shops. Sparkling wine. Bar tender. Pleasant bar. Customer service exceptional. Excellent English. Amazing staff attitude. Great choice for breakfast. Great selection at breakfast. Delicious breakfast. Fabulous room. Fantastic view. Amazing shower cabin.